I don’t know about you, but I always have a hard time coming up with gifts for men. Since Father’s Day is coming up, I came up with a fun Father’s Day craft to make for a dad that likes to be handy. 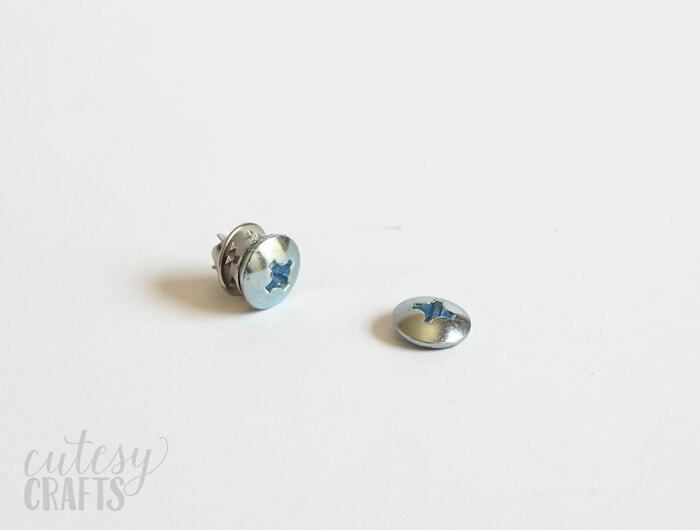 It’s a tie tack made from an actual screw, which is pretty cool. 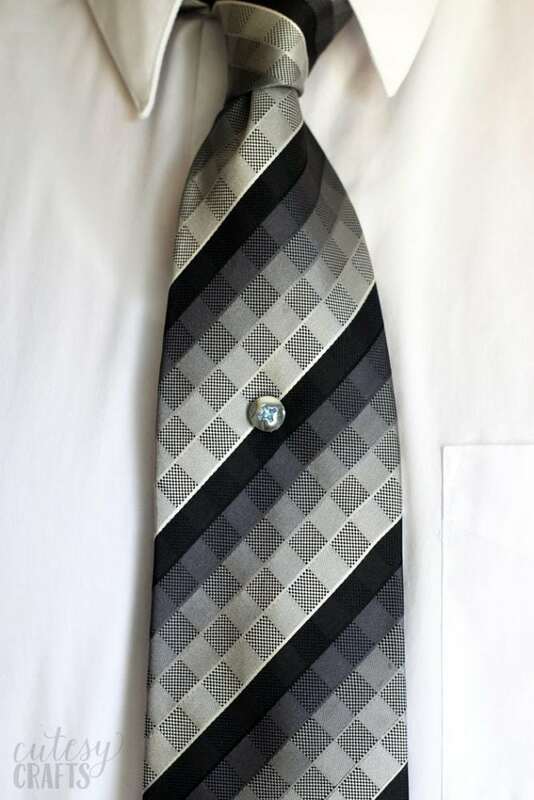 It looks like the screw is going through the tie. Fun! If you like this post, you’ll also want to check out my 20 Father’s Day crafts for kids to make. 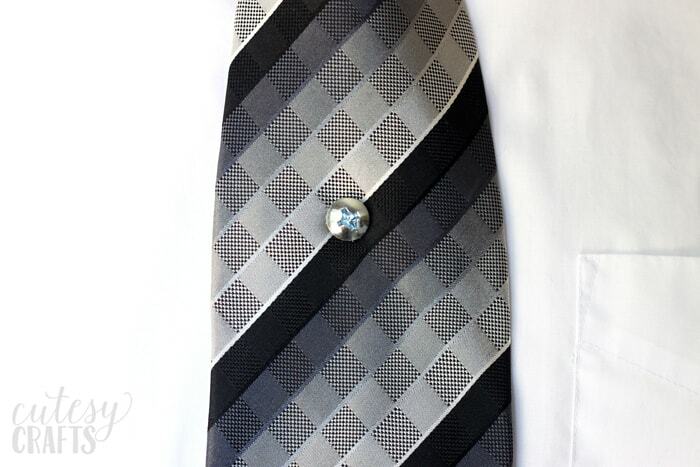 Add the tie tack to a hardware store gift card, and you’ve got the perfect DIY Father’s Day gift for dad! 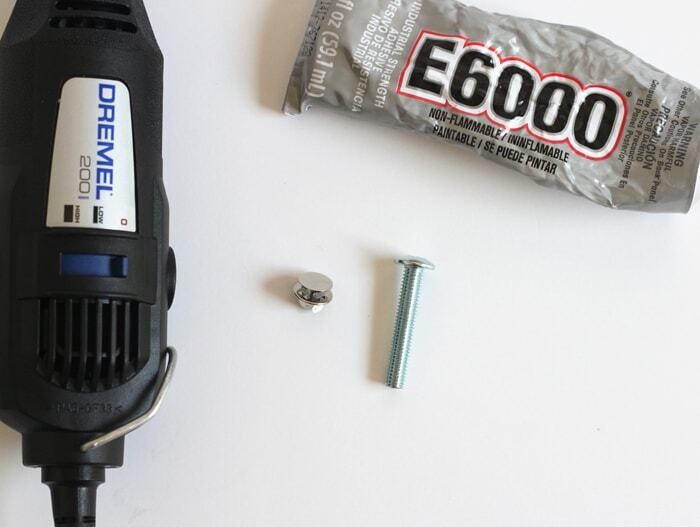 Use the Dremel Tool to cut the head off the screw. This will make a lot of heat and sparks, so be sure to wear safety goggles and gloves, and make sure there is nothing flammable around. I recommend putting the base of the screw in a clamp while cutting. Try to get as close to the head of the screw as you can and get as clean of a cut as possible. 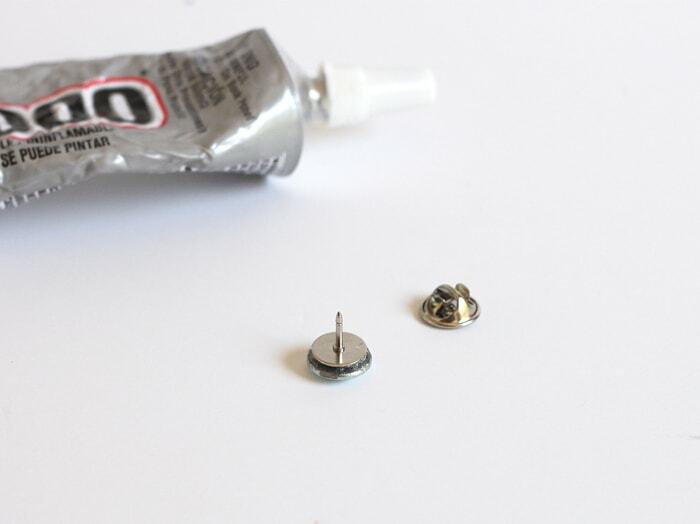 Put the screw head, top down, on the table and put a blob of glue on it. 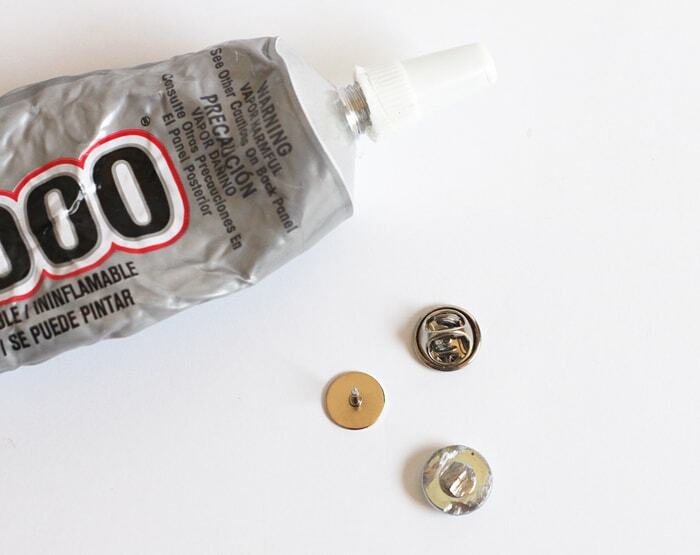 Wait for the glue to get a little tacky, and then push the back of the tie tack into the glue. 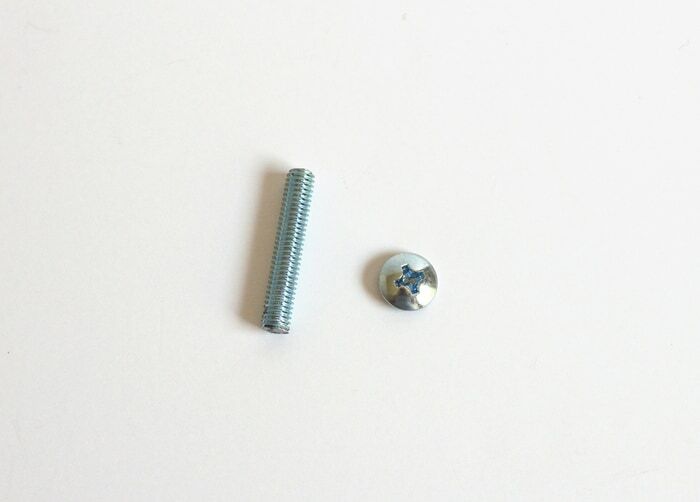 If the back of your screw is a little uneven, do your best to keep it straight until the glue dries a little. Adjust it to make it straight, and then you can add more glue around it with a toothpick. For more fun Father’s Day crafts, check out these other ideas.